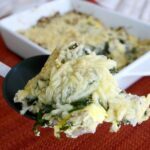 This low carb turkey casserole is packed with tasty spinach and cheese for a super delicious meal! 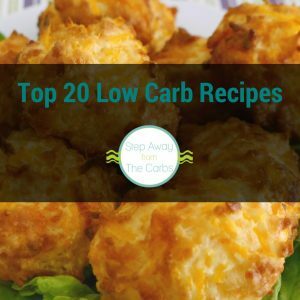 Keto, gluten free, and LCHF recipe. Ground turkey is super cheap so it’s great for when you’re feeding a family. 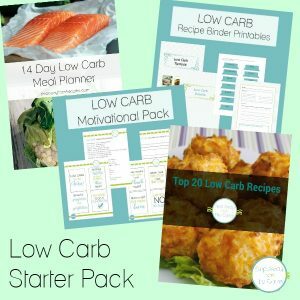 This meal comes together pretty quickly, and then you can just let the casserole bake in the oven while you get on with something else. 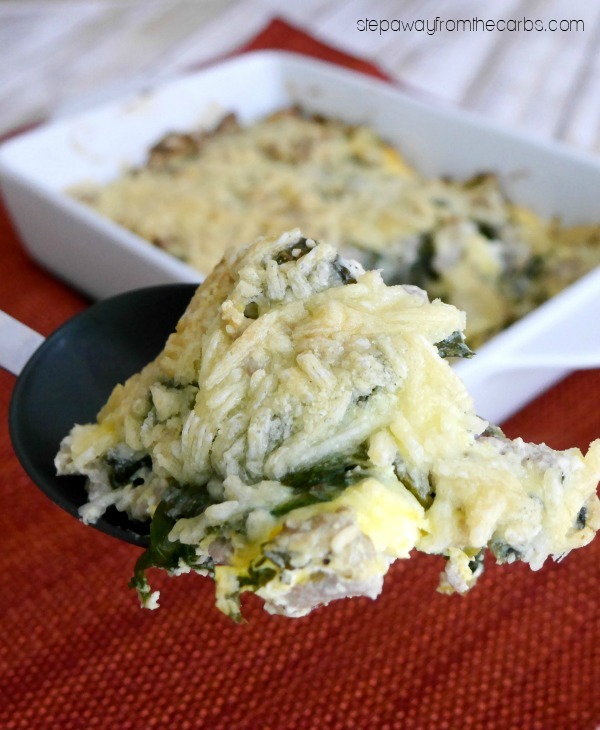 The crispy cheese topping works perfectly with the soft turkey and spinach below – it’s definitely a great combination of textures and flavors! 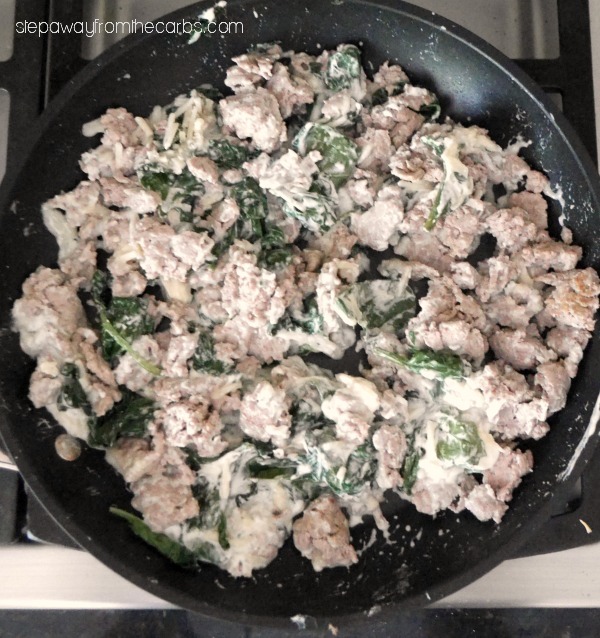 To prepare the casserole, brown some ground turkey in a large skillet. 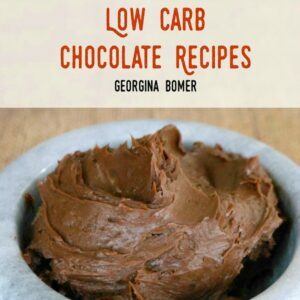 Drain any excess liquid. Season with black pepper, then transfer it to a baking dish. 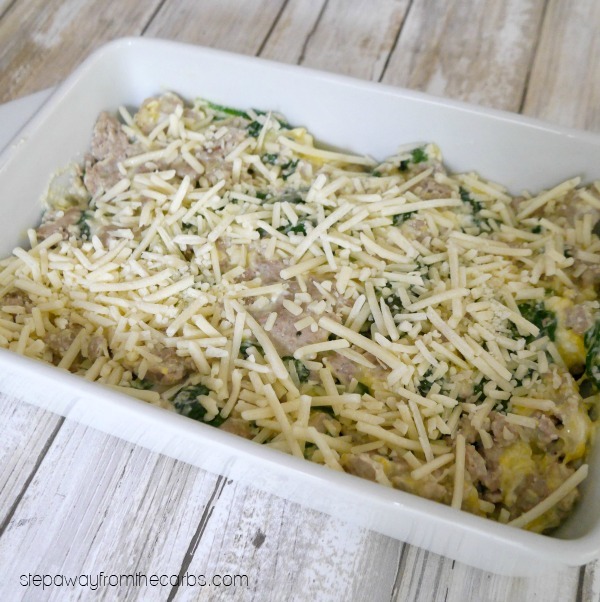 Cover the casserole with extra cheese, then bake in a preheated oven for 20 minutes. Serve this low carb turkey casserole with a salad or your favorite low carb side dish! 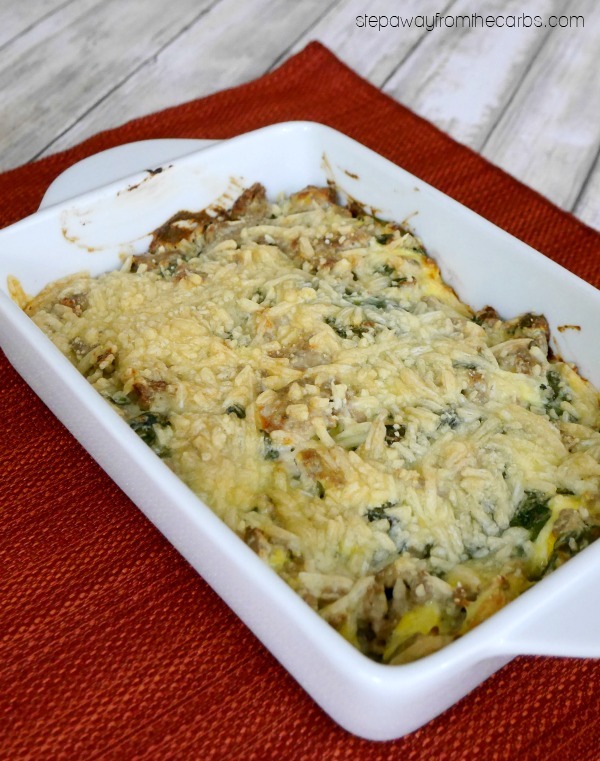 Note: I’ve written in the recipe card that this serves four people, but if you wanted to skip the dish and just share this whole casserole between two people, the carb count wouldn’t be too crazy. 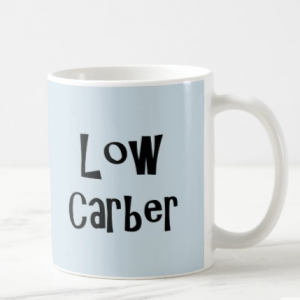 Although you’d be VERY full!!! Brown the ground turkey in a large skillet. Drain any excess liquid. Add the cream cheese and fresh baby spinach, and continue to cook until the cream cheese has melted and the spinach has wilted. Beat an egg, then add it to the turkey mixture, together with half of the shredded cheddar cheese and stir well. Season with black pepper, then transfer it to a baking dish. Cover the casserole with the remaining cheese, then bake for 20 minutes. Wonderful! I’m so glad that you liked it!